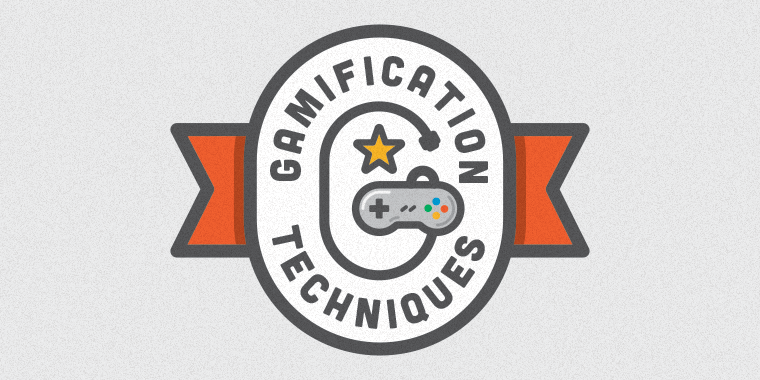 If you’re in the e-learning industry, you’ve heard the term by now: gamification. Sounds fun, right? But there’s a more deliberate aspect to gamification than throwing together some badges and leaderboard. E-learning gamification is the application of game elements and gaming techniques to non-game elements, such as online learning content, in an effort to make it fun and engaging. In other words, it’s the use of game mechanics to encourage learners to explore and learn as they move toward an end goal. A key part of many games is the narrative, or the story, behind them. These stories often incorporate a protagonist (a relatable character), the antagonist (the challenge the character faces) and a plot (a sequence of events). How to incorporate this game element? Creating a scenario is a great way to add a narrative element to your course. Scenarios involve characters that follow a simple plot or sequence of events. Rules are a critical part of any game to set expectations and parameters. They let players know what they can and cannot do. Use specific and concise instructions for the learners to communicate the rules for your scenario. Clearly communicate what you expect learners to do at all steps of the course, and make sure they’re never left guessing what to do. Having control over the journey and the outcome is a common element of many games. Players love to feel in control of their potential for success. One way to give learners control is to let them choose an avatar or character that appears in the course. Another way is to open up navigation to give learners control over how they progress through the content. Let learners access content from a main menu with several possible choices, instead of forcing them down a linear path. Games often encourage discovery and exploration; for example, people love to “hunt” for a hidden treasure. Include a little “Easter egg,” such as a hidden nugget of extra information or the ability to score some extra points. Just remember that while looking for extra information is a fun add-on, never make a learner hunt for critical information that they need to know. You should also make sure you provide learners with clear instructions on what they are looking for. There’s nothing worse than clicking aimlessly without knowing why or where to look. How many games have you played that required you to do nothing? None! Games are all about stimulation and engagement, whether mental or physical, and you should be doing something as part of the process. Think about how you can make the content more interactive. This doesn’t simply mean making the user “click” more often, but instead crafting meaningful interactions that require a learner to think and make decisions. Instead of telling them the information outright, make them select the correct choice from a list and drag it into place. Instead of presenting them the steps of a linear process, get them to order the steps themselves. Feedback is a key part of gaming. It lets the user know that their action has been registered or recognized, and it provides a cue to the player about how they are progressing. Feedback doesn’t have to be text. “Unlocking” new features, for example, is a type of feedback that lets players know they’re doing well. Badges or even just checkpoints are a way to show feedback and achievement. Using progress bars is also a great way to provide ongoing feedback and to let learners know how they’re doing. Games use time constraints to create a sense of urgency, which pressures the gamer to think and act quickly. To simulate a real-life constraint, consider using a countdown or a timer on your quiz. For example, if your call center expects calls to be completed in less than five minutes, give your scenario a time limit of five minutes for the learner to pass. Loss aversion refers to the tendency of humans to prefer avoiding losses to acquiring gains. Studies have demonstrated that a loss is twice as powerful as a gain, and this mental propensity is used by many game developers. Use a points system in your course to let learners know where they stand, and let them know points can be taken away for incorrect answers. You could also use a visual progress meter, such as a map with checkpoints, that shows learner whether they are moving forwards or backwards as they progress through the content. Continuous play is the ability for a gamer to pick up where he left off and continue the game. This means even if the gamer “loses” the game, they can start over and try again as many times as they want. Let learners keep going! It’s a great sign when learners want to retry or revisit content. It means they are interested and intrigued. Remember: you want to encourage and compel your viewers to learn, so if they want to revisit course content, why not let them? One way to incorporate continuous play into your courses is to allow learners to retake a quiz or assessment if they have failed. Another way is to give them a second chance if they answer a question incorrectly. Bonus points or rewards make people feel good, and are used extensively in many different games. Consider giving “bonus points” to learners for more difficult questions, or by providing them with an ability to earn extra rewards based on good choices. Achieving different levels, goals, or challenges is a common theme among games. One idea: instead of having chapters or modules, organize your content into “levels” and “unlock” the levels when learners answer choices correctly or hit a certain number of points. Leaderboards are one of the most popular ways to encourage competition in the gaming world. Leaderboards rank players and their scores, and people love them because they like to get recognition for their skills and effort. Use a corporate intranet page or your LMS to let learners see how their coworkers are progressing. Be mindful of the information you share; low scores made public could be embarrassing for learners. I’d love to hear from you in the comments: which of these gamification techniques have you incorporated in your courses? Are there any gaming techniques I forgot to mention? Please share your experience and insights in the comments below. Thanks for sharing that link, Kevin! Great list and explanation Nicole. Thanks, Jeff! After putting together this list I realize we often use elements of "gamification" without even trying, such as feedback and narrative! They are just basic elements of e-learning. Wow, what an article, Nicole! So simple and clear, so useful! Thanks a lot! Adding this to my "easy reference" articles. This is a great starting point for gamification ideas. Thanks, Nicole! Great article! :) I will apply some of these ideas. Thanks! Does anyone have an demo of a good gamification course? Gamification to lose weight: http://www.dietbet.com/ You can import some of these ideas adapted to your target. Thanks for sharing that example, Nuno! As always, great post Nicole! We have "attempted" to use gamification in many of our courses. The demand is only increasing with our customers asking us to build serious games out of their content to support blended learning. I would love to see a demo of gamification used within Articulate! Excellent summary of gamification techniques. Must read for e-learning developers and HR training coordinators! I'll remember your easy explanation of the story set-up (protagonist, antagonist, plot). My greatest challenge remains to come up with believable yet interesting stories. For those of you who are interested in the background and theory of gamification: Coursera offers a "gamification course" by Kevin Werbach. I enjoyed it! Hi Marcus - I'm with you on that one. The Coursera Gamification course was great, and had some really good insights - plus it was free!!! Thank you for the article and the debate; it's really interesting. As you mention, gamification is getting into e-learning more and more, and I guess it's mainly due to the engaging aspects of game systems that it applies. I think that a thorough analysis of what motivates people is key to better understand the importance of gamifying a course. Otherwise we end up with just 'PBLs': points, badges and leaderboards. The interesting thing is to get someone doing something just for the sake of it, and this occurs more when what is done is intrinsic motivating. 'Players' or users, need to feel they're in control by having autonomy on the steps they take (as you mention) and also to feel that they're in relation to others whithin the gamified system. A very interesting 6-weeks course is about to finish at Coursera: https://www.coursera.org/course/gamification. Application of gamification principles can be very simple and small without turning your elearning into a game. I have used red (pulsing) markers whose color turns from red into green after clicking on them. I like to believe this applies a psychological (motivation) principle that learners are tempted to turn red into green. In this way you can increase learner motivation to uncover all information hidden behind markers. Thank you so much for creating and sharing this, Nicole. It's now my go-to primer for gamification. One question: You mentioned choosing an avatar that will follow the learner throughout. Is there a tutorial on how to do that? Thank you so much, Nicole. You spoil me! Cool--thanks, Nicole! I'll watch it as soon as I get back to the office. Have a perfect day. I just watched Nicole's tutorial video. Amazing! I learned more than just avatars from the video. Nicely done! Thanks Charles! It does cover a lot! Button sets, states, triggers, variables.. Hopefully I was able to get all that information across in an easy-to-understand way. Thank you again, Nicole. This is exactly what I needed! Have a perfect day. Nicole: may I translate your article to Spanish for my site? It's ok if this links to your profile here and to this article? Great post! I would love to start doing this at our company. We have a pretty young workforce that would appreciate this style of learning. Thanks for sharing! Great to hear! Thanks, Helen! Excellent Nicole, est-ce que tu peux me donner le lien pour la communauté francophone. J'aime beaucoup tes interventions! On se verra bientôt a Orlando, réserve un peu de temps pour que l'on est le temps de discuter! Bonjour Carole! J'imagine que Nicole t'a déjà répondu, mais si jamais ce n'est pas le cas, voici le lien vers la communauté francophone (sous forme de blog pour le moment) : http://blogs.articulate.com/les-essentiels-du-elearning/ À bientôt ! I work for a project that develops e-learning courses for the Deaf/Hard of Hearing/Deaf-Blind community. Gamification is essential in ensuring courses are both accessible and engaging for learners. Would love to talk to you more about it, Allison! Anytime! Just shoot me a message on Twitter (https://twitter.com/articulate_fr) or LinkedIn (https://fr.linkedin.com/in/allisonlamotte). Amazing article! Congrats! Recently I developed an online course in MOOC and aplied many gaming elements and can't wait to see the feedbacks.